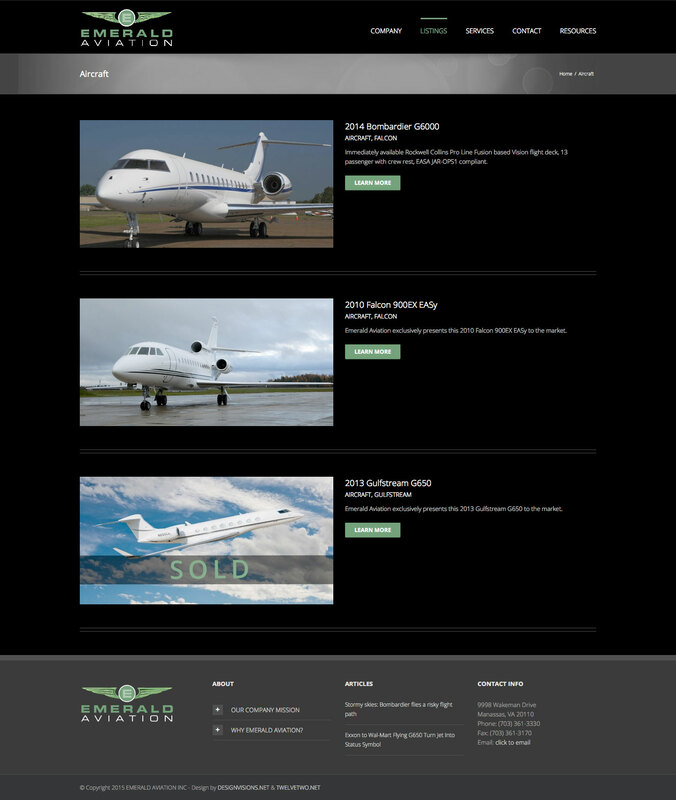 TWELVETWO is pleased to announce the re-design and launch of Emerald Aviation’s new site. Special thanks to Jeff Blair of DesignVisions for his design expertise and his many contributions overall. 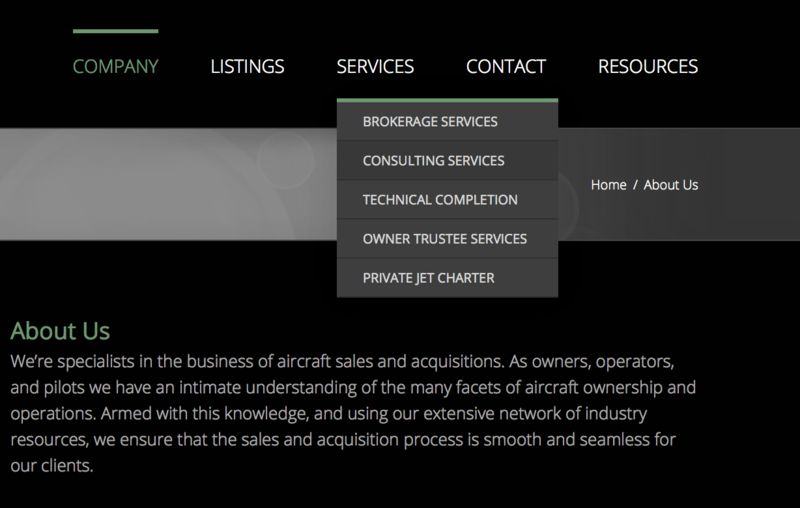 Based in Washington, DC, Emerald Aviation specializes in aircraft sales, acquisitions, and private chartering for clients around the world. 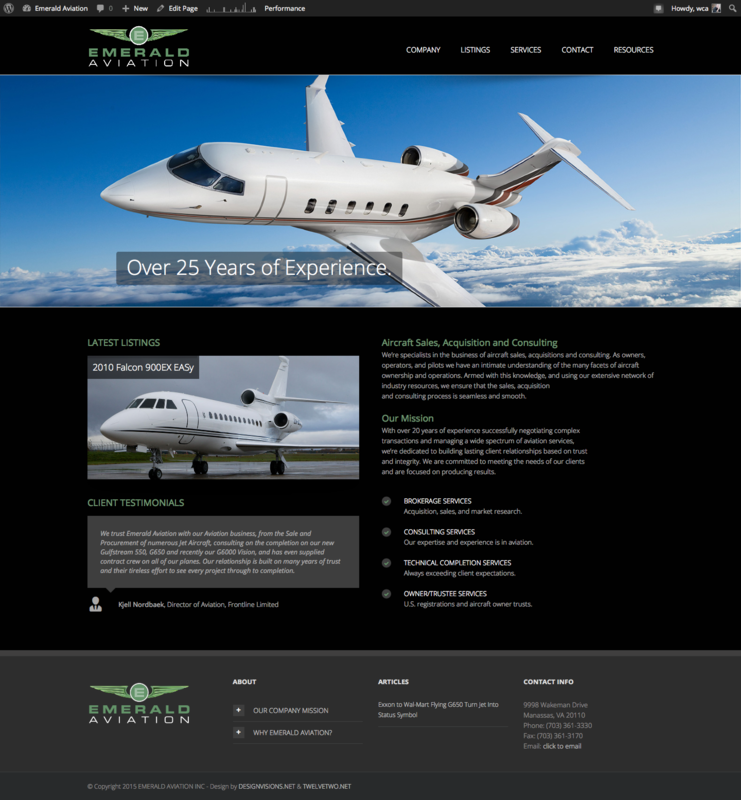 We are excited to add them to the TWELVETWO portfolio and look forward to working again with Emerald again soon.